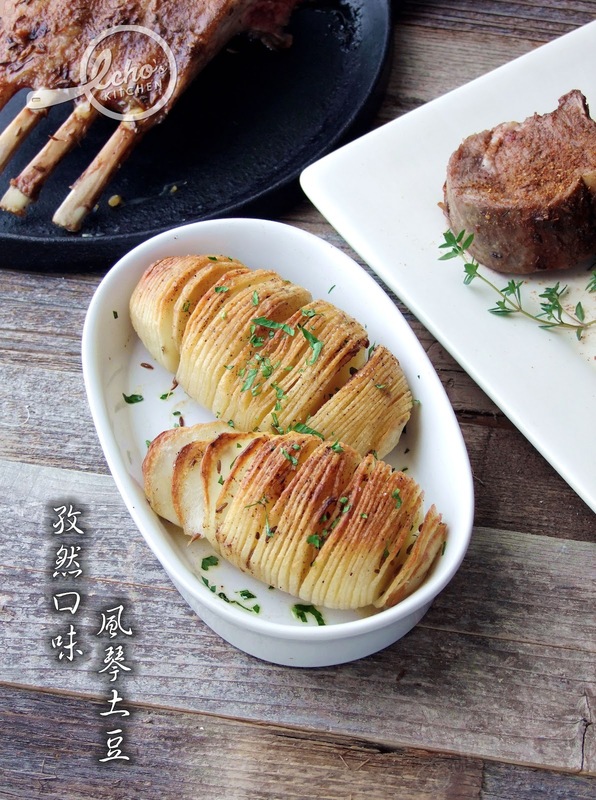 I made these grilled potatoes to go with our XinJiang Style Lamb Chops today. This spiced potato chips are so good that we fought for the last bite! For those who doesn't like your potato too spicy, you can try the non-spicy grilled potato chips that I made earlier. 1. 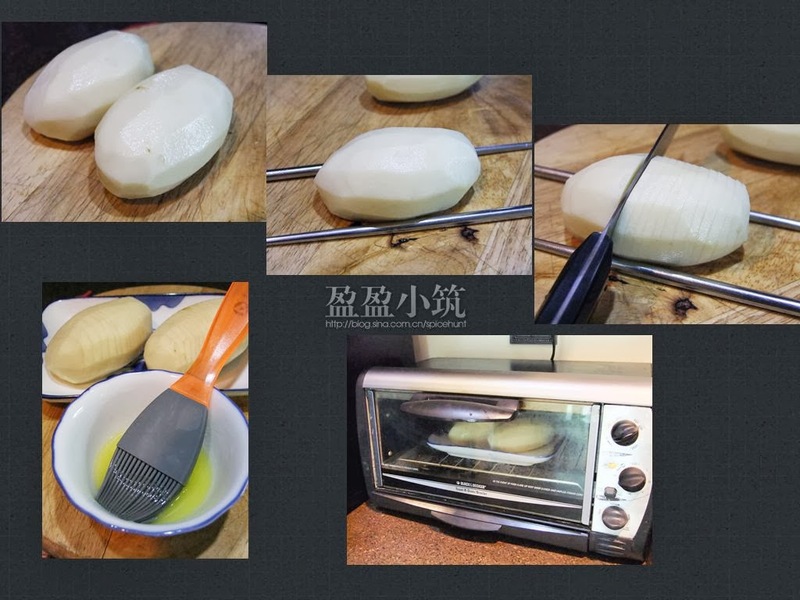 Peel and clean the potatoes. Use a pair of chopstick or thick bamboo skewer, place one on each side of the potato to hold the potato together, the stick will prevent the knife from cutting the potato all the way through. Slice the potato to the thickness of your liking, I sliced mine to about 1.5 mm thick this time. 2. Preheat oven to 400F (205C), brush olive oil over the potato, do it twice if you wish. 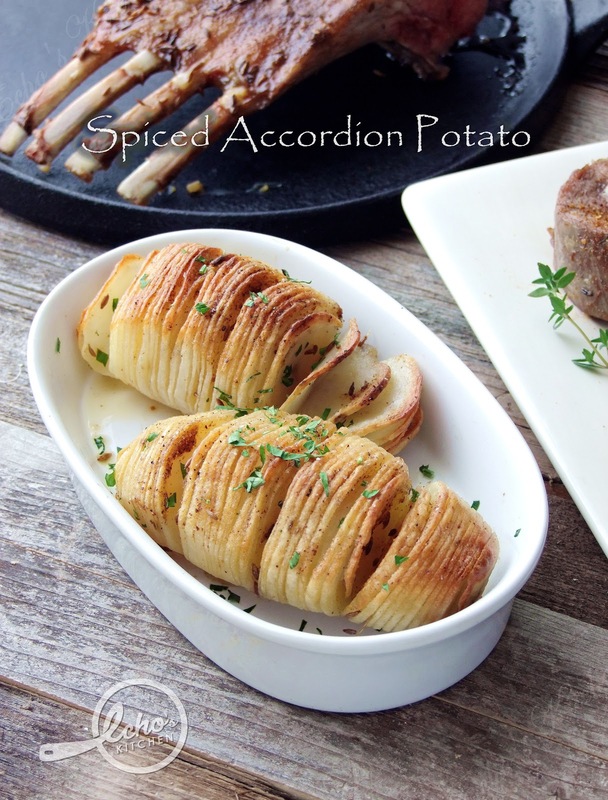 Sprinkle a pinch of salt and some cumin seeds over potatoes and cover with foil paper. 3. 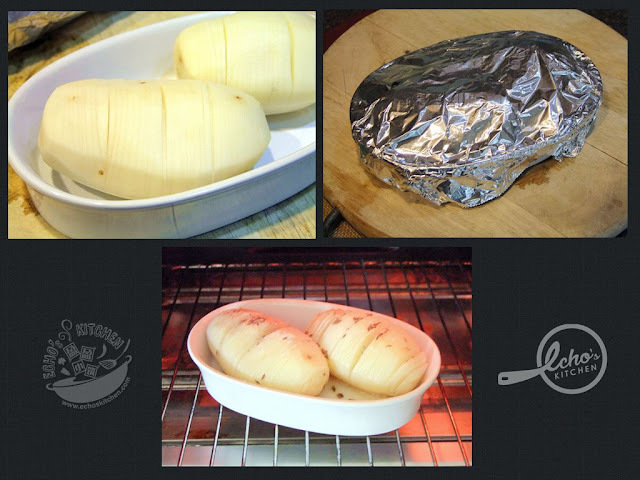 Bake the potatoes for 45 minutes, remove the foil paper, brush with more oil over potatoes and sprinkle homemade BBQ seasoning over it. Turn the oven to broil and broil for another 5 minutes or until the top part turn golden in color.